QQ House, incorporated in 2008, is a household name renowned for its 10 minutes quick cut, and salon services such as hair-dye, rebonding, and herbal hair treatments. With a strong team of creative and professional hairstylists, QQ House is now one of Singapore’s leading salon group. Every cubicle in our outlets has a dedicated TV screen which will screen local TV programs and cartoons; something for each customer to enjoy while they are having a haircut. Holding firm to the core values – Trust, Value and Friendliness, QQ House has embraced the trust from consumers and continues to strive relentlessly to deliver the best services to our customers. Skye Herbal Hair Treatment Salon, uses high quality, natural Traditional Chinese Herb in our specially developed Herbal Hair Treatment and Colouring services. One stop Salon services: Scalp Treatment, Hairend treatments, Keratin treatment, Hair lost consultation and treatment, Organic Hair Colouring, Creative Hair Colouring, High lighting, Re-bonding, Styling and Wash and Blow. Welcome to VIP Nail Boutique! Away from the stresses from work or home, you will be pampered and cared for by our highly trained manicurists. Our aim is to provide a therapeutic approach to nail care which will leave you feeling soothing and joyful after each session. 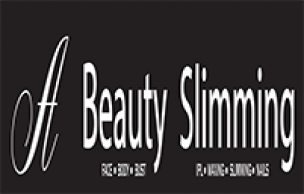 A Beauty Slimming offers non-invasive treatments on all nail, facial, body and eyebrow services across Singapore helping them to enhance and reveal beauty effortlessly. Our customers’ beauty aspirations are our commitment to provide the highest quality of various beauty treatments.